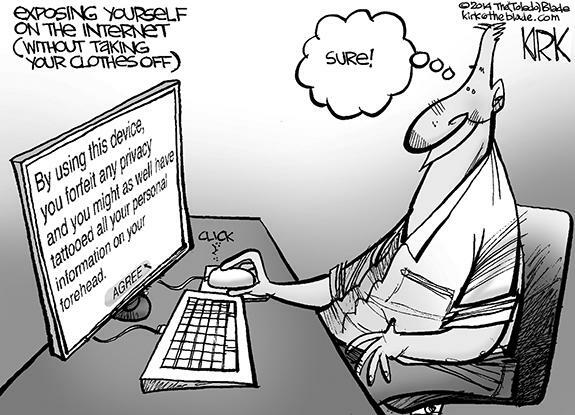 Showing 39 articles from April 1, 2015. LOUISBURG -- Four people were sent to the hospital Tuesday morning, including one who was air-lifted, following a collision with a gas tanker. According to the Highway Patrol, Margaret Lemay White, 75, of Kittrell was turning from Fuller Road to go south on U.S. 401 and didn't stop at the sign at about 8:50 a.m.
EASTER VISIONS. There is little doubt that little Sophia King was thinking about brightly colored Easter Eggs and other signs of the season last Saturday at Youngsville's annual Easter Egg hunt. 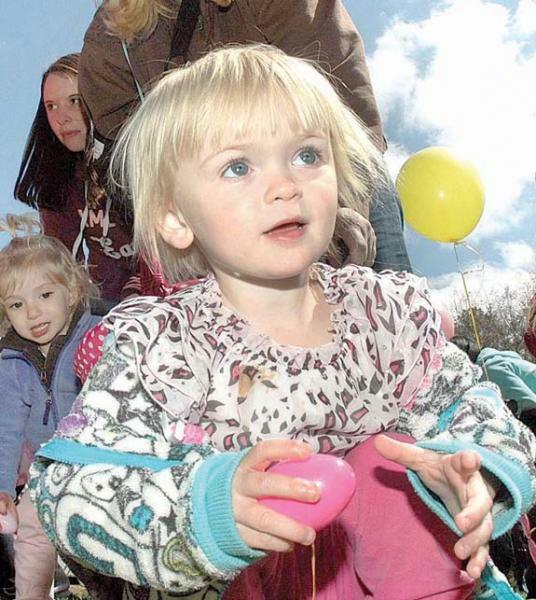 Children of all ages had fun collecting the brightly colored eggs that were filled with candy and other surprises. 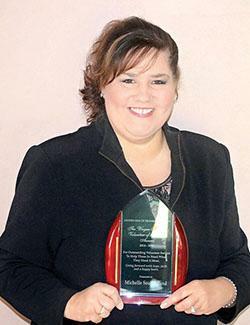 LOUISBURG -- Five years ago, Michelle Southerland got her first taste of helping the United Way of Franklin County. Because of that, a family got a taste of a bounty grown in Southerland's own backyard when she and her family picked food from their garden and took it to the United Way office to help. It was because of efforts such as that, and much more, that the United Way of Franklin County presented Southerland with its Wayne Stallings Volunteer of the Year Award last Thursday. With war raging across Europe seven decades ago, a young airman received advice that is still changing lives in Franklin County today -- and likely will for years to come. The advice was basic: Jump and Pull! The meaning was that if your aircraft was in trouble and headed down, your best option was to jump out and remember to pull the rip cord on your parachute. Appropriately, just in time for spring, there have been a few shoots of "green" to be reported in Franklin County -- and interestingly, two of them have been in Louisburg. It doesn't take a crystal ball to realize how hard hit Louisburg has been in the seemingly never-ending recession. There are empty buildings everywhere and many of the reasons for people to come to Louisburg to shop simply no longer exist. All together now: Lets all squeak! And squeak long and loudly! 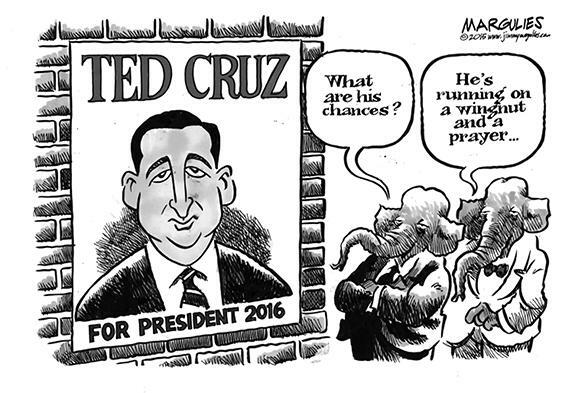 We've all heard the old adage about the squeaky wheel that gets the grease, right? 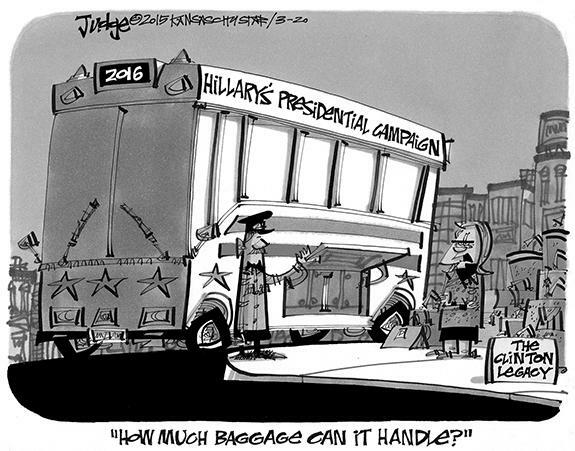 This time, we have to be the squeaking "wheel" and the "grease" we need comes as transportation dollars from Raleigh. I like to think I'm pretty swift -- I did run a half marathon in less than two hours -- but it probably took me close to 10 years to hike 1.5 miles. That was because last week I took my first trek along the Cypress Scout Trail, a path cleared away by Boy Scout Troop 555, spearheaded as an Eagle Scout project by Tripp Gobble. The trail also includes a Tar River overlook, an Eagle Scout project by John W. Benning. Immunization battle looms to make political points? In 1777, General George Washington engaged in a subterfuge against his right wing superiors and inoculated the Continental army against smallpox. Now, 238 years later, a bill in the North Carolina General Assembly aimed at protecting the general health and well being of the citizens of the Tar Heel State is coming under attack by the today's right wing extremists. LOUISBURG --Funeral services for Willie Edward Gupton, 71, who died Monday, March 30, 2015, will be held at 1:30 p.m. Saturday, April 4, at Richardson Funeral Home in Louisburg, with Elder Matthew Richardson officiating. 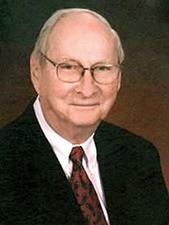 Burial will follow in the Gupton family cemetery. BUNN -- Matt Keith has been around Bunn High School athletics since he was a little boy tagging along to games in the 1980s. It's safe to say that Keith has seen just about every student-athlete that has come through BHS since then. 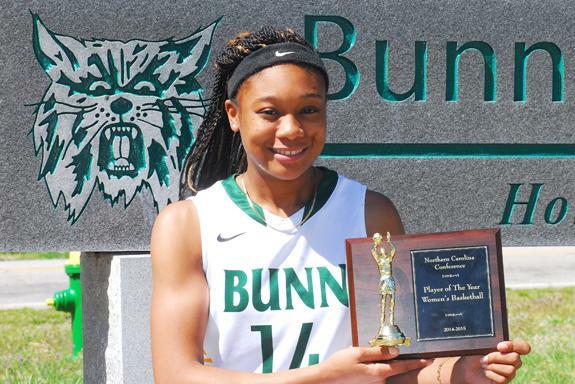 So it's not faint praise when Keith offers accolades to a Bunn athlete -- especially one that he currently guides in his role as the school's girls basketball coach. TRIUMPHANT RETURN. Franklinton's Eduardo Rivas sends back a return as part of his No. 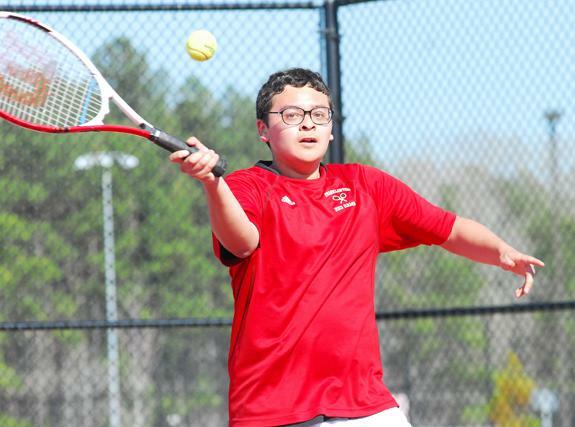 4 Singles match during the Red Rams' home tennis contest on Tuesday afternoon against rival Louisburg HS. 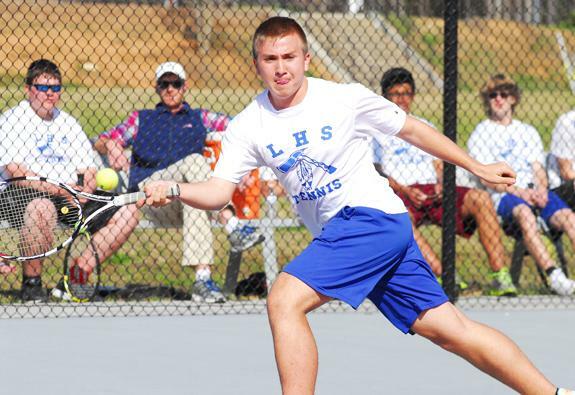 FRANKLINTON - Louisburg's smash-hit start to the 2015 boys tennis season is now garnering statewide attention. The undefeated Warriors, coached by Johnathan Waugh, are now slotted in the No. 2 position in the latest Class 1-A State Rankings. Now 10-0 overall, the Warriors continued their effective campaign Tuesday by earning a non-conference decision on the road against backyard rival Franklinton. FLIGHT PATH. Franklinton's Allison Burkett (left) follows the ball during Tuesday afternoon's home soccer victory against Northern Vance. 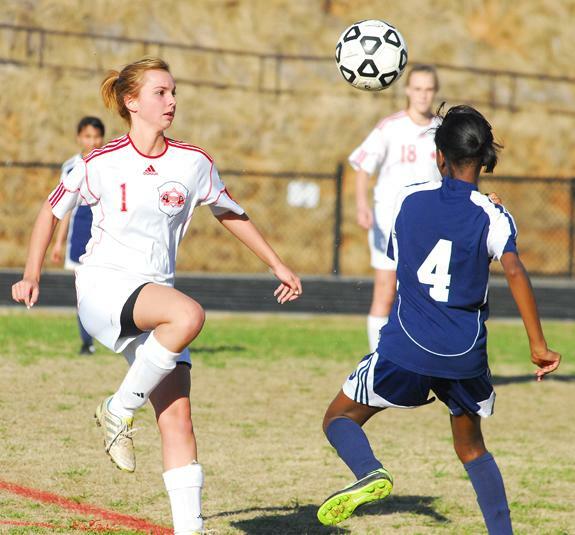 FRANKLINTON -- Franklinton took a break from the rigors of its Northern Carolina Conference girls soccer schedule on Tuesday -- and faced little resistance from the Northern Vance Lady Vikings. Franklinton took charge early and never looked back en route to delivering a convincing 9-0 triumph at the FHS Football Field. 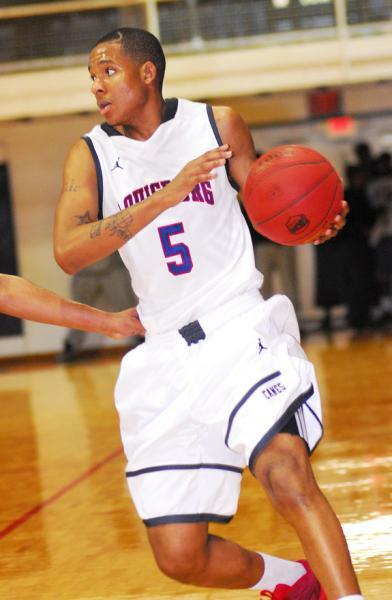 LOUISBURG -- Camden Scott made the most of his lone season as a member of the Louisburg College men's basketball squad. Scott, a sophomore wing and transfer from East Florida Community College, averaged 14.0 points per outing while helping the Hurricanes to the Region X regular season hoops championship. BUNN -- Bunn came up with the biggest victory in the early portion of the prep baseball season last Wednesday as the Wildcats bested Northern Carolina Conference rival South Granville. 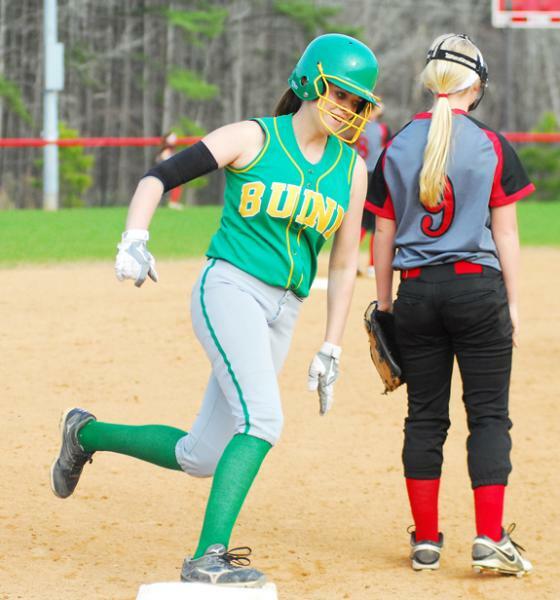 Bunn scored twice in the bottom of the fourth and went on to edge the Vikings by a 5-4 margin at home in a matchup of two clubs expected to vie for the conference championship. BIG SWING. Louisburg College's John Garcia takes a lofty cut during Sunday's home doubleheader against Region X opponent Florence-Darlington at Frazier Field. 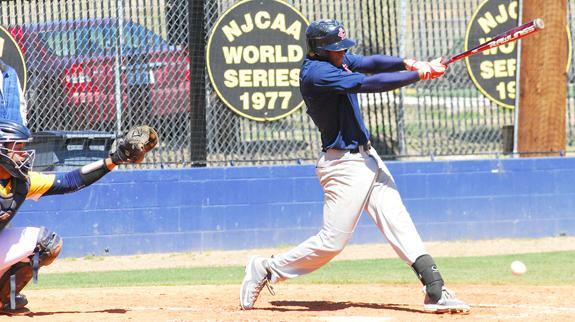 LOUISBURG -- Louisburg College put itself in position for its most successful baseball weekend of the season -- but the Hurricanes weren't able to finish the job. 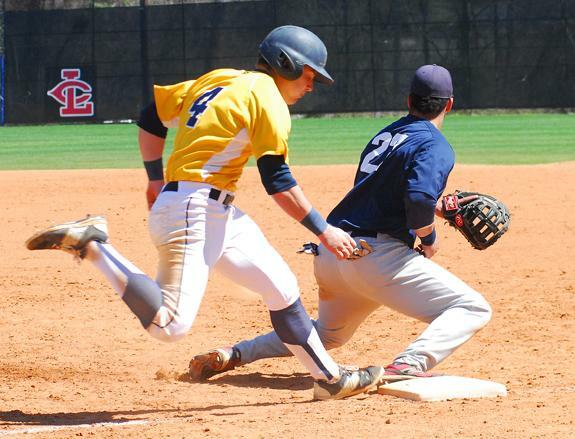 LC got off to an effective start to its four-game, Region X home series against Florence-Darlington Tech last Saturday at Frazier Field. CHAPEL HILL -- Wells Fargo, along with the North Carolina High School Athletic Association, has announced the final standings in the Wells Fargo Conference Cup competitions for the 2014-15 winter sports season. The Wells Fargo Cup Award recognizes the schools that achieve the best overall interscholastic athletic performance within each of the state's four competitive classifications. SPIVEY SERVES IT SUCCESS. 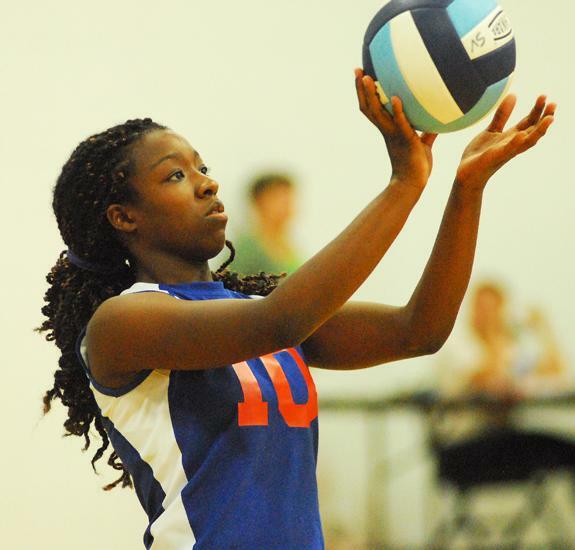 Phoenix Spivey enjoyed a strong career as a member of the Louisburg High School volleyball squad -- and she has signed to play next season for Louisburg College. LOUISBURG -- When Caitlin Withers accepted the Louisburg College volleyball coaching position last summer, she made a priority of delving into a relatively untapped recruiting market. One that was just a few blocks away from campus. Despite the presence of Louisburg High School's successful spike program right up the road, the Lady Warriors haven't sent too many players on to compete in volleyball at LC. WILSON -- Committed to a higher level of baseball learning for its participants, the Wilson Tobs Summer Baseball Camps are an excellent opportunity for young players to enhance their skills and broaden their game knowledge. Coordinated by Tobs Head Coach Bryant Gaines, and his assistants, the Tobs staff will work one-on-one with all participants to enhance the camper's fundamentals and individual, athletic skills. BRANTLEY ON THE BASEPATHS. Bunn's Parker Brantley rounds third base and heads for home during last Wednesday afternoon's road softball victory against rival Franklinton HS. 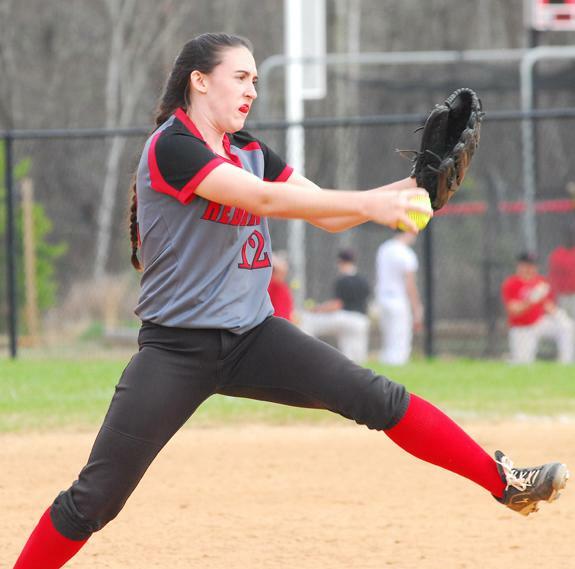 FRANKLINTON -- Only one set of numbers is needed to display Bunn's dominance to date this season in fast-pitch softball action. And that would be 76-6. That's been the scoring margin between BHS and its seven opponents so far this spring. HENDERSON -- The Fourth Annual Vance County Rescue Squad Superball Golf Tournament will be held May 30 at Kerr Lake Country Club in Henderson. All proceeds will go toward providing up-to-date gear and equipment for members of the Vance County Rescue Squad. Entry fee is $50 per golfer or $200 per team. Franklinton High School's Summer Jacobs sends a fireball toward home plate during her club's Northern Carolina Conference matchup last Wednesday against Bunn. 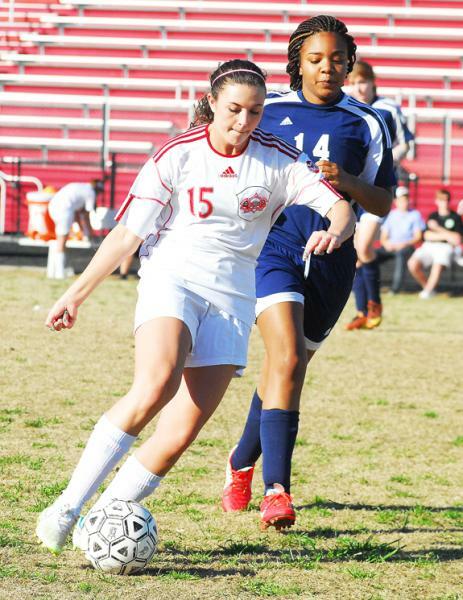 Franklinton's Marissa Davis sprints into scoring position during Tuesday's home soccer decision against the Northern Vance Lady Vikes. Louisburg High School's Dillan Phillips lunges for a forehand return at No. 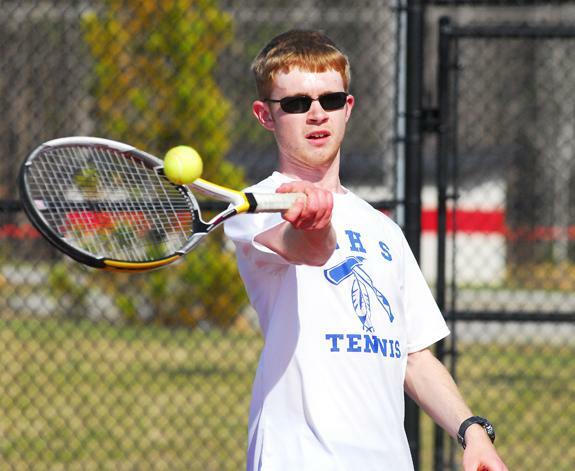 3 Singles during Tuesday's team tennis match against homestanding Franklinton. Louisburg's Quint Hester returns a volley during his victory at No. 4 Singles on Tuesday afternoon against Franklinton HS. Florence-Darlington's Matt Vernon (right) was safe at first base on this play as the eventual winning run scored during Game One of Sunday's region doubleheader versus Louisburg. The Biblical saga of Joseph and his coat of many colors comes to life in the musical parable, "Joseph and the Amazing Technicolor Dreamcoat" which opens April 9 at Norris Theatre at Louisburg College. Joseph, his father's favorite son, is a boy blessed with prophetic dreams. When he is sold into slavery by his jealous brothers and taken to Egypt, Joseph endures a series of adventures in which his spirit and humanity are continually challenged. Water's path to the ocean isn't a straight line! In the world of streams and rivers, nature abhors a straight line. Since water always flows downhill, in a perfect world, streams and rivers would flow in a straight line from their point of origin to the ocean. In an effort to increase stream flows and reduce flooding, we used to 'channelize' streams by digging them out and creating straight channels to speed the flow of water. SALT LAKE CITY -- Amanda Salisbury of Louisburg has received her Bachelor of Science, Nursing from Western Governors University (WGU). The university held its 28th semi-annual commencement ceremony in Orlando on Feb. 7 and celebrated the graduation of more than 6,700 graduates. BUNN -- A former Bunn High student has become a member of the National Society of Collegiate Scholars. Jayla Liana Cofield earned the distinction based on grade point average and class standing. "[The National Society of Collegiate Scholars] NSCS is more than a symbol of academic achievement," said Stephen E. Loflin, the Society's founder and chief executive officer. Finally, a chance to get outside! FUN IN THE SUN. 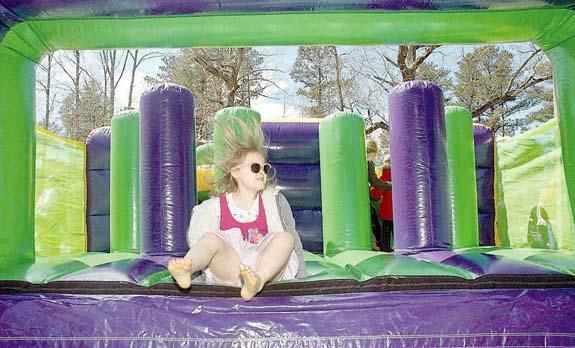 Kyra Pennington has a hair-raising good time in the bounce house set up as part of the Easter festivities hosted by Friends of the Youngsville Library last Saturday. LOUISBURG -- The county's agencies and organizations tasked with battling domestic violence want to make sure the focus is on battling the problem at both ends. The group, tabbed the Domestic Violence/Sexual Assault Task Force, has been meeting for months, making sure their efforts to stop domestic violence are well coordinated. LOUISBURG -- Police responding to an unrelated shoplifting call at a local big box store arrested a trio who police allege were targeting stores across the area. Thomas Wayne Boney, 45, and Joshua Shayne Vaughan, both of Roanoke Rapids, and Wendy Marie Rose, 22, of Littleton, were each charged with a series of larceny charges relating to thefts reported in Franklin, Nash, Wake, Johnston, Onlsow and Beaufort counties. Volunteer Services of Maria Parham Medical Center will have its April fundraiser, an Electronic Show, to be held in the John T. Church Classroom on Wednesday, April 8 , from 7 a.m. until 4 p.m. and Thursday, April 9 from 7 a.m. until 2 p.m. Items will include computers, gaming consoles, TV's, cameras, music players and more. 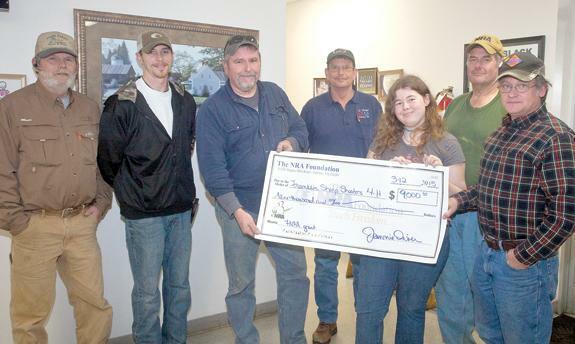 LOUISBURG -- The Franklin Sharpshooters 4-H club was recently award a $9,000 grant from the Friends of the NRA. They will receive firearms and equipment from the grant foundation. 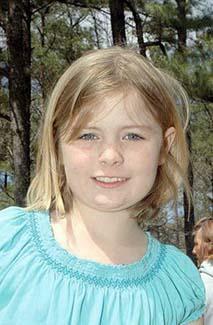 On Oct. 3, youth from the club qualified for the NC State 4-H National Air Rifle team. They will be competing in Nebraska in June.